Sleep Tight Pest Control works with property management companies to identify, control, and prevent pest infestations in their properties. 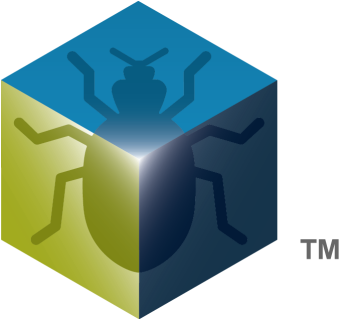 Most of our clients start with uncontrolled infestations. After using our detailed end-to-end Integrated Pest Management (IPM) programs, they’ve completely cleared their properties of pests. They stay pest-free by employing our preventive programs to quickly detect and remediate new infestations. Sleep Tight’s success started in 2002 when we attained 100% bedbug eradication in buildings in San Francisco’s most high risk neighborhoods. Bedbugs are the most difficult of pests to control, requiring collaboration from all users of a building to control them so we’ve extended those methods to general pest control for rodents, insects and other pests. For bedbug infestations, we can help you reduce cost, time, and tenant concern through a program of bedbug-specific property manager training, building maintenance protocols, tenant education, and inspection and treatment programs. If you manage residential or commercial properties, call us for a free consultation. Sleep Tight is experienced and fully licensed in general pest control, bedbug abatement, and biohazard remediation. We can also help you with legal and regulatory assessments. Sleep Tight Pest Control provides these services combined together in an Integrated Pest Management (IPM) program, or as individual projects. Full routine pest controlRegular preventive inspection of buildings and residential units to detect and treat pest infestations. Full Building EvaluationsFor property managers evaluating the scope of pest control programs required to attain pest-free buildings complying with local inspections and laws. ConsultingDevelopment of pest control protocols for property owners, property managers, tenants, case managers, social workers, and governments, that comply with local regulations. bed bug specialistWorking with property managers in a full IPM program to attain 100% bedbug free buildings. Involves coordination between property owners, property managers, tenants, and other stakeholders. Unit PrepPreparation of a residential unit (hotel rooms, apartments, condominiums, SRO units) for pest control treatment. To maximize the effectiveness, and to minimize possible harm, of pest control treatments. Full AbatementReduction and removal of pest infestations in a room, house, or building. Includes the careful de-infestation of occupant’s personal belongings including clothing, furniture, electronics, and delicate or sensitive items. We use specialized treatment methods such as freezing and gas treatment for specific types of objects. DE-INFESTATION LAUNDRY SERVICESpecialized laundering of fabrics and clothing to kill and remove pest infestations. Pre-Purchase InspectionsInspection of buildings and residential units prior to purchase or contracting by property owners or property managers, to detect and evaluate pest infestations. Move in / Move out InspectionsInspections of tenants and their belongings as they relocate into or out of a building. To prevent new infestation of rooms and buildings. Rent Up InspectionsInspections of houses and residential units for pest infestations before they are rented out. "Sleep Tight provides us with prudent guidance and cost effective results when it comes to preventing and treating bed bugs and other pests. Because of Sleep Tight's collaborative approach with our organization, our buildings are safer and our communities are more informed." "Sleep Tight Pest Control not only does a great job assessing for bed bugs, but what we have appreciated about them most is the way they interact with our clients. They are clear, helpful and patient with client’s questions, concerns, and, at times, anxiety-driven behavior. Sleep Tight Pest Control is not only effective and professional, but are humane and caring. Priceless!" "We hired Sleep Tight Pest Control at the opening of our property. Through their thorough move-in inspections, they immediately found and prevented 14 cases of bed bug infestations from moving into our building. If it weren't for Sleep Tight Pest Control, our entire building would be infested with bed bugs as so many are in our neighborhood. Instead, our residents enjoy 100% bed bug-free living thanks to Sleep Tight Pest Control." "I called a competing pest control company first when I found a strange looking bug in my bedroom. They told me I had bed bugs, gave me an estimate and told me I would have to throw away my mattress and all of my sofas. Lucky for me, I decided to get a second opinion. I called in Sleep Tight Pest Control and they told me the bug I found was a carpet beetle, not a bed bug! They saved my furniture, my money, and my peace of mind"
"I would like to say I am grateful and impressed with Sleep Tight- it sounds like Brad went above and beyond what he needed to do given the fact that our organization was not responsible for the bedbugs. He did this by providing the tenant with both information, advocacy and even doing some research. It sounds like the support he provided was part of what helped her (the tenant) successfully get her landlord to take responsibility for treating the apartment and housing her elsewhere during treatment." The Sleep Tight Group combines the operations of Sleep Tight Pest Control, Sleep Tight Biohazard, and Sleep Tight Supplies, offering property owners and managers a full range of licensed pest management services under one roof. Effective pest control requires diligent coordinated attention to detail, cleanliness, safety and followup. Because Sleep Tight provides end-to-end pest detection, room preparation, treatment, and preventive inspections under the same management, you’re assured of long-term pest free results. Sleep Tight’s success started in 2002 when we attained 100% bedbug-free buildings in San Francisco’s most high risk neighborhoods. Bedbugs are the most difficult of pests to control, requiring collaboration from all users of a building to control them so we’ve extended those methods to general pest control for rodents, insects and other pests. Sleep Tight’s unusual success comes from the integrated pest management programs we’ve innovated with our clients. Through a program of property manager training, building maintenance protocols, tenant education, tenant relations, and building inspection, Sleep Tight helps clients reduce the cost, time, and tenant concern of pest infestations. If you manage or own residential or commercial properties, call us for a free consultation. Sleep Tight is experienced and fully licensed in general pest control, bedbug abatement, and biohazard remediation. We can also help you with legal and regulatory assessments. Please leave us your information. Do you think you have a bed bug infestation? Finding bite marks when you wake up in the morning? Noticing black spots or stains on your sheets, mattress, box springs or furniture near your bed? Sighting live or dead bugs or even shells in your home? If you answered YES to any of these above problems, you may have a Bed Bug infestation. Vacuum regularly. Remove vacuum bag and place into plastic bag, seal tightly and dispose of immediately. Do not take any items out of your unit before your unit has been treated. Myth #1: Bed Bugs only come out at night. Fact: Bed Bugs are nocturnal because humans sleep at night. They are attracted to the CO2 humans expel when they sleep. If people choose to sleep during the day, bed bugs come out during the day to feed! Myth #2: You can tell you have Bed Bugs because you will see bites. Fact: Only 30% of people are allergic to bites. Even if you are allergic, the bites may not show up for up to 9 days and may not be differentiated from flea or mosquito bites. Myth #3: Bed Bugs are only a problem for poor people. Fact: Bed Bugs are completely indiscriminating. They are attached to the heat and the CO2 that is given off by all human beings. ALL people are susceptible. However, because treatment is expensive, lower income victims may have a greater difficulty in seeking effective treatment solutions. Myth #4: You can get rid of Bed Bugs on your own. Fact: Self-abatement is not only largely ineffective, but can often be very dangerous as well. Bed Bugs are masters at hiding, and can fit into any space that you can slide a credit card into. Most over the counter treatments are spot killers or low grade pesticides that are not 100% effective. We recommend an Integrative Pest Management approach to treat every infestation. Myth #5: I have to throw out my bed if I have Bed Bugs. Fact: You can and should have all of your belongings treated. You will only need to throw out your mattress if the infestation is extreme, and even then you should treat and wrap it first. Myth #6: Bed Bugs can live up to a year without feeding. Fact: Recent research has shown that, as Bed Bugs become more resistant to pesticides, they become less able to go without food. It's estimated that they can now only survive 5-6 months without a feeding. Fact: Foggers are completely ineffective against Bed Bugs. Foggers do irritate the Bed Bugs, causing them to move out of the room, but they usually return after the fog has cleared. Insect foggers are dangerous in that they can leave unwanted residue throughout the treated area. Most insect foggers contain a flammable propellant and some have been associated with a number of fires. Foggers will do you more harm to you than to the Bed Bugs. Myth #8: Mattress covers will prevent you from having Bed Bugs. Fact: Mattress covers only prevent the Bed Bugs from infiltrating your mattress. As that is not the only place that Bed Bugs live, you can still have a mattress cover and a Bed Bug problem. Myth #9: If you have Bed Bugs you can just move to escape them. Fact: Bed Bugs hide everywhere- in clothes, books, electronics, etc. If you move without a proper treatment, it is likely that you will just be transporting the Bed Bugs from your old residence to your new one. Myth #10: One type of treatment is sufficient to get rid of Bed Bugs. Fact: An effective pest control treatment for Bed Bugs uses Integrative Pest Management strategies that include preventative measures and multiple techniques to get rid of Bed Bugs.